The school day is healthier. The Healthy, Hunger-Free Kids Act of 2010 required the U.S. Department of Agriculture (USDA) to make significant nutrition improvements in school meals as well as to improve the overall quality of the food sold at school. Specifically, USDA was mandated to update nutrition standards for school lunch, breakfast, and competitive foods (such as snacks and beverages). FRAC advocated for these long-overdue improvements and then worked with USDA during the rule-making process by providing input on the changes. These new nutrition standards for school meals and competitive foods have the potential to increase school meal participation. There is a growing body of evidence and local success stories that demonstrate that improving school meal quality and the overall school food environment improves school meal participation. Find out more – download FRAC Facts: Four Key Facts in Support of the Improved School Nutrition Standards. There is overwhelming evidence that the new standards for school meals are working. A number of research studies have examined the impact of the relatively new school meal nutrition standards on school food offerings, school meal disparities, and student nutrition-related outcomes. This brief highlights the many positive results. The U.S. Department of Agriculture (USDA) turns to the Institute of Medicine (IOM) to ensure that nutrition standards are in line with the latest science. 2008 — USDA asks IOM to recommend new school meals rules based on the U.S. Dietary Guidelines. 2009 — The final IOM report was issued in October 2009. 2010 — As part of The Healthy Hunger Free Kids Act, Congress directs USDA to expedite a rulemaking process to overhaul school meal standards using the IOM recommendations. 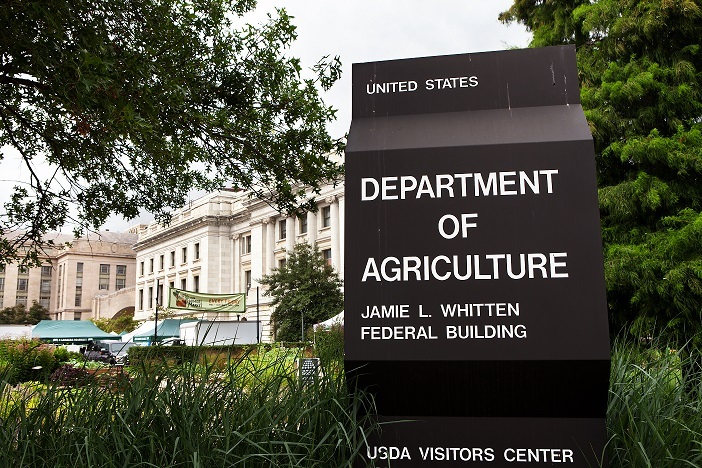 2011 — USDA issues proposed new rules for public comment in January. 2011 — FRAC participates in the rule-making process by issuing comments and encouraging stakeholders to provide their feedback. More than 140,000 comments were received from a broad range of individuals and organizations. 2012-2013 — New nutrition standards take effect for school lunch. 2013-2014 — New nutrition standards take effect for school breakfast. 2014-2015 — The new nutrition standards for competitive foods take effect. Increased the amount of fruits and vegetables served, emphasized whole grain-rich foods, required only low fat and nonfat milk, limited calories, and reduced saturated fat and sodium. Required school lunch standards to be implemented in all schools for the 2012–2013 school year. Phased in implementation of school breakfast standards over a three-year period. Allowed “offer versus serve” fruit and vegetable serving options consistent with the Institute of Medicine recommendations. Improved cultural food options, such as allowing tofu to qualify as a meat/meat alternate. As of June 2015, 97 percent of school districts that participate in the National School Lunch Program had indicated that they were meeting the new standards. As such, these districts have begun drawing down the additional 6 cents per meal as provided in the Healthy, Hunger-Free Kids Act. Certainly, implementation of the new school nutrition standards has not come without challenges and some districts have struggled more than others. 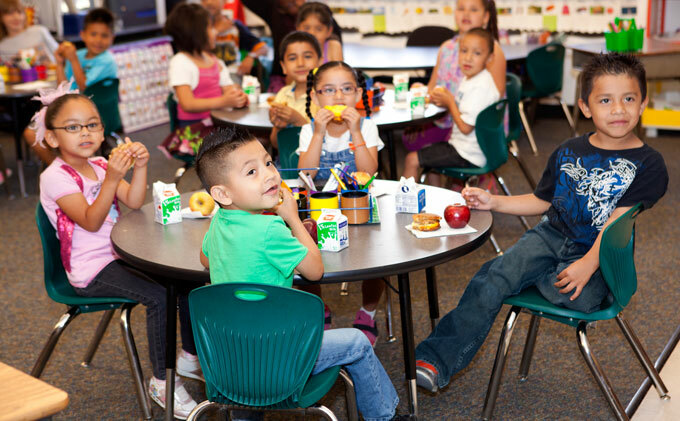 It is crucial to support these struggling districts as they continue to improve the nutrition quality of meals served to meet the new standards and ensure that program participation is not compromised as a result. Competitive foods are any food sales outside of the federal school nutrition programs, including à la carte sales in the cafeteria and vending machines, such as snacks and beverages. As the name indicates, competitive foods are in direct competition with the school meal programs for students. Set limits on calories, fats, sugar, and sodium and encouraged the consumption of dairy, whole grains, protein, fruits, and vegetables. Stipulated that all snack foods sold in school must be “whole grain-rich” (i.e., they should contain 50 percent whole grains), have whole grains as the first ingredient, or have as the first ingredient a fruit, a vegetable, a dairy product, or a protein-rich food. The Smart Snacks Final Rule aligned the standards for snacks offered to students during the school day with the nutrition standards that apply to lunch and breakfast. Low-income children will especially benefit from these strong standards. When peer pressure and stigma drive low-income students to purchase less healthy appealing competitive foods, instead of eating healthy school meals, they lose out nutritionally in a much bigger way than their more affluent peers, and their families lose financially. Find information on the regulation, policy memos, and technical assistance and guidance materials on USDA’s Nutrition Standards for School Meals page.